The islands could see damage from high winds as well. 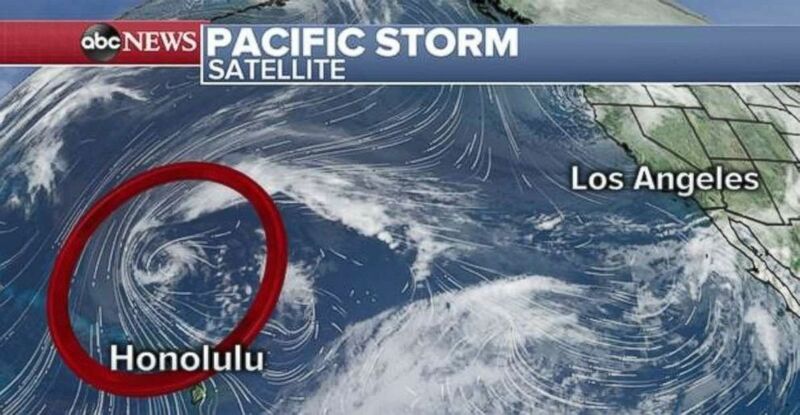 An intensifying Pacific storm about 500 miles north of Kauai is rapidly moving south toward the Hawaiian Islands. (ABC News) A rapidly intensifying storm could bring major impacts to Hawaii on Sunday and Monday. 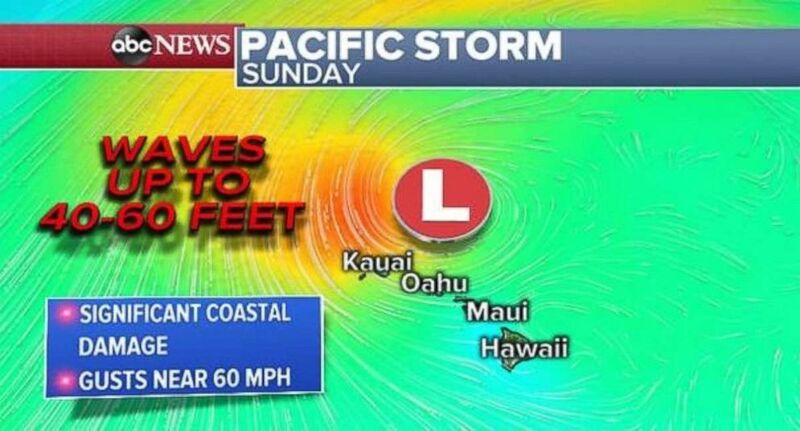 (ABC News) Hawaii could see waves up to 60 feet from the storm. The National Weather Service is talking about extreme impacts to the coast line with possible significant damage to coastal property and infrastructure.